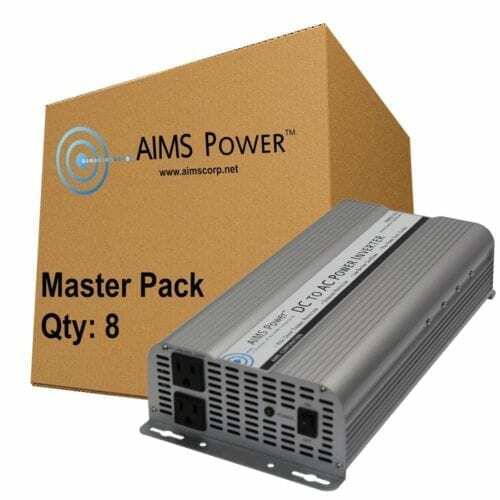 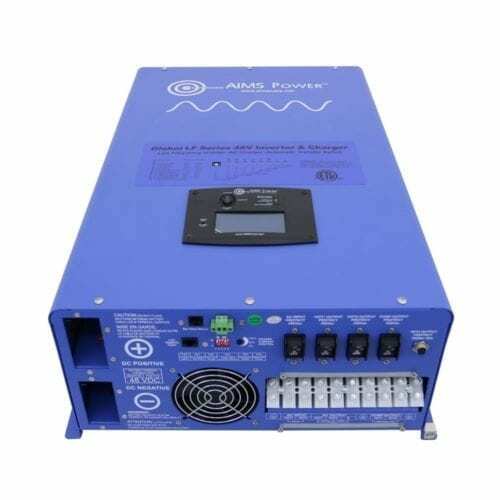 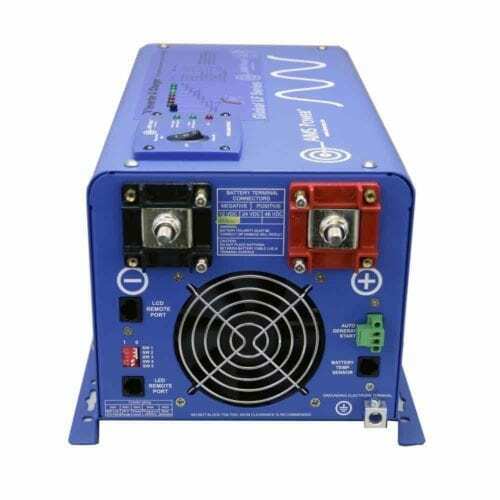 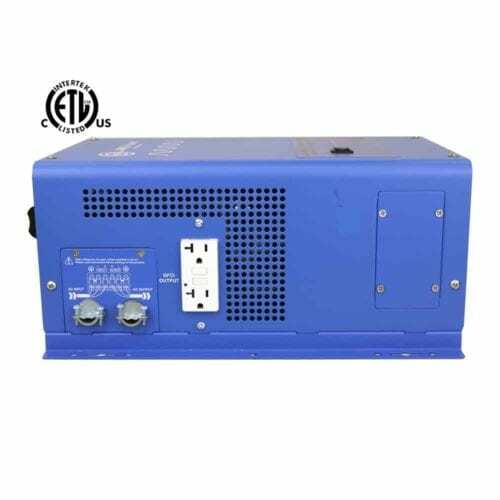 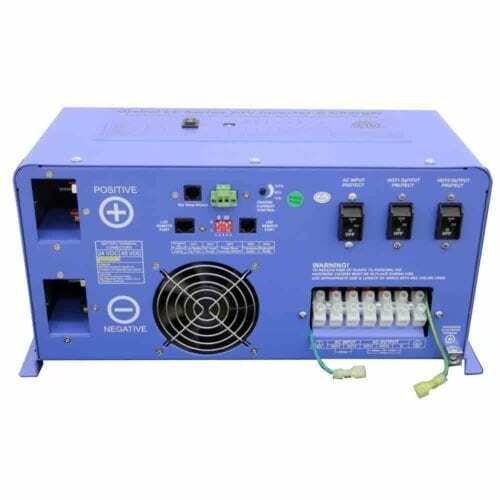 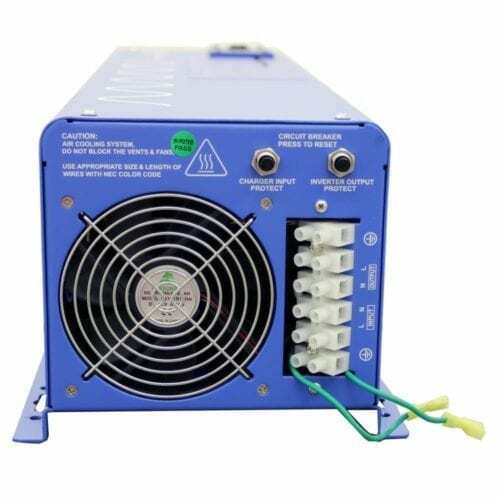 These 12-, 24-, 36- and 48-volt DC inverters are made by AIMS Power, manufacturer of industrial-grade inverters that can power many kinds of equipment, machinery, appliances and electronic devices. 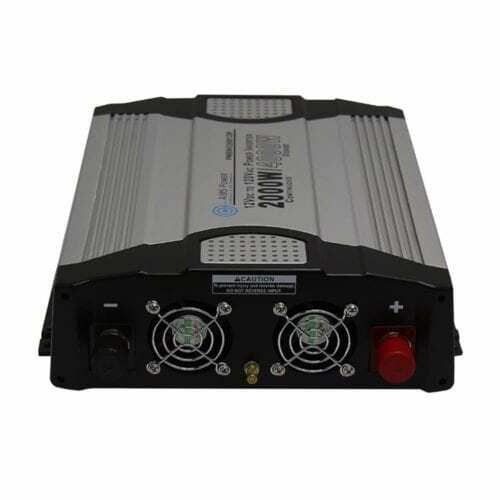 We offer a comprehensive selection, from modified sine power inverters to pure sine power inverters and inverter chargers, including devices that are made to be used overseas. 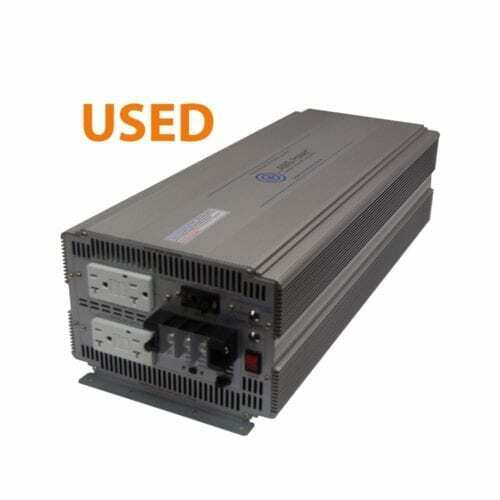 You’ll also find occasional used and refurbished models. 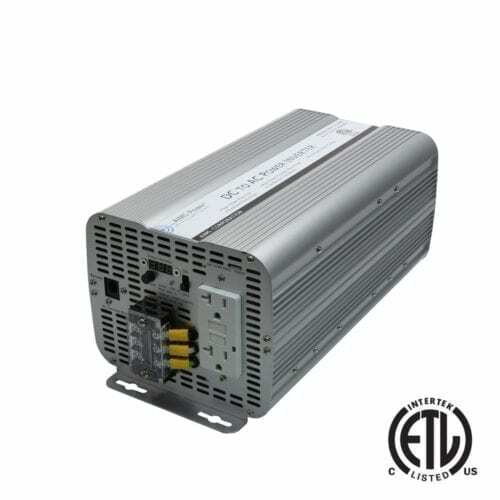 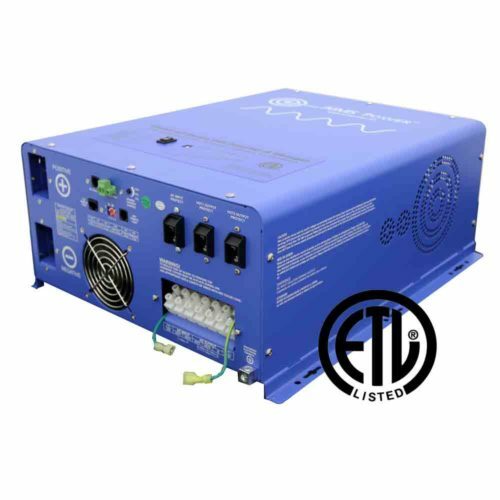 Many of our pure sine inverters, modified sine inverters, pure sine inverter chargers and solar charge controllers are also ETL-certified to UL 458 or UL 1741 standards. 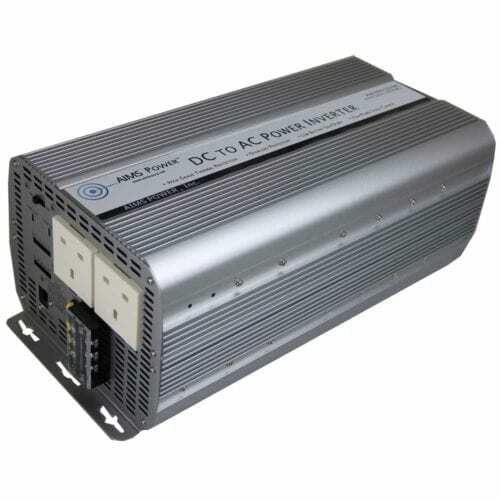 With models ranging from those that fit in a small space to heavy-duty 7,000- and 8,000-watt units built to handle extreme temperatures, there are modified sine inverters for many different applications. 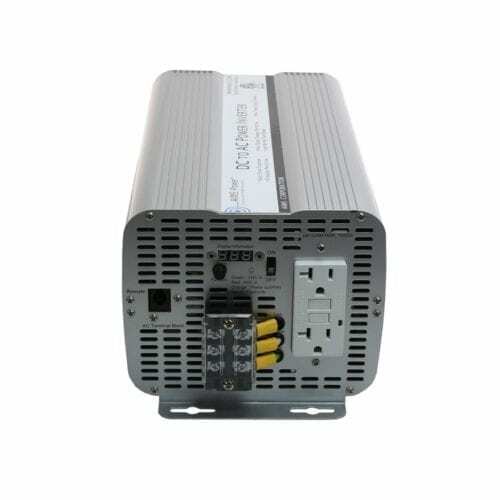 Smaller inverters can provide the necessary power to run small tools, appliances and pumps. 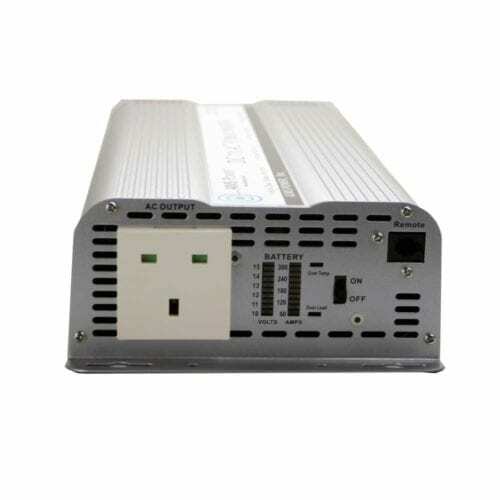 They can also be used with a battery bank connected to solar panels and a charge controller. 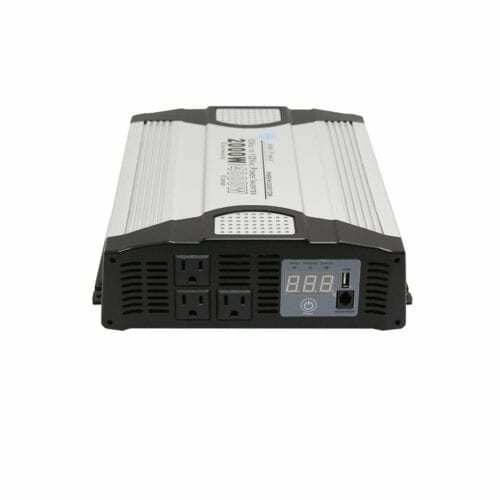 The stronger inverters can be used to power tools, motors or appliances that require high wattage, such as air compressors or air conditioners. Industrial grade power inverters are appropriate for remote cabins, construction sites and mobile businesses. 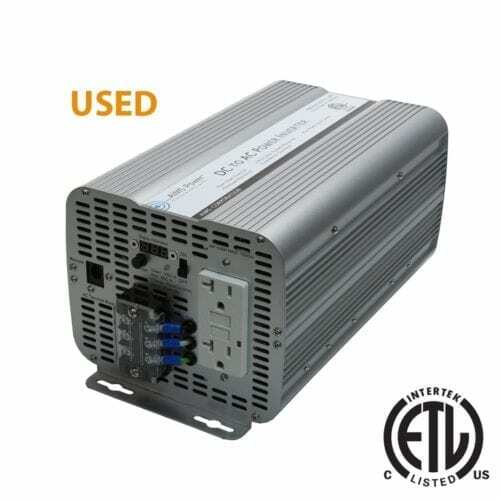 Features may include high efficiency, low heat generation, thermally controlled cooling fans, internal fuse protection, volt and amp meter with digital gauges, AC direct connect terminal block, pre-wiring for a remote on/off switch, over-temperature and overload protection, dual GFCI outlet, LED monitoring lights and auto reset. 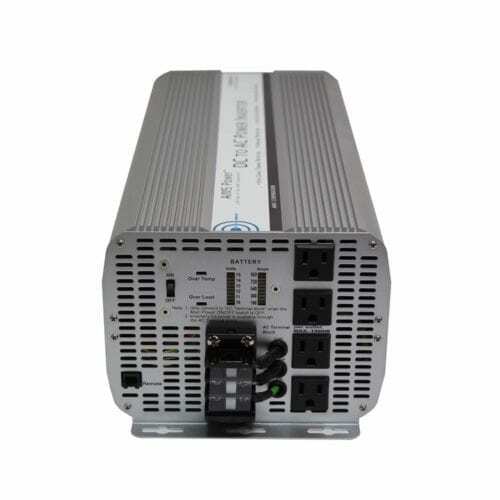 Note that modified sine inverters are not appropriate for sensitive electronic devices. 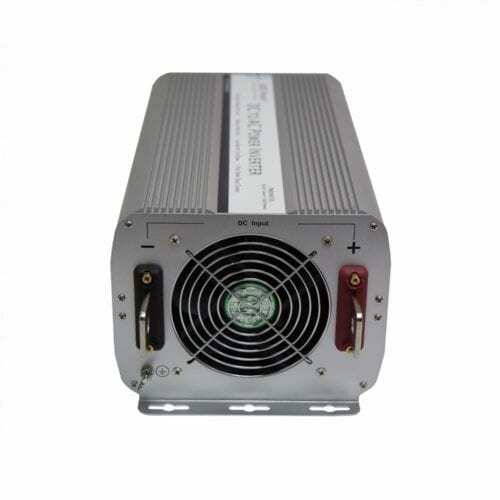 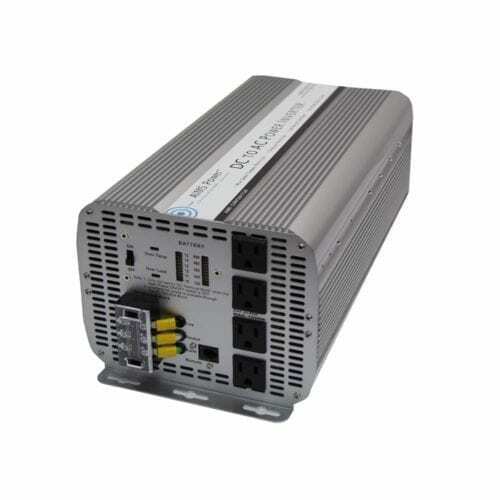 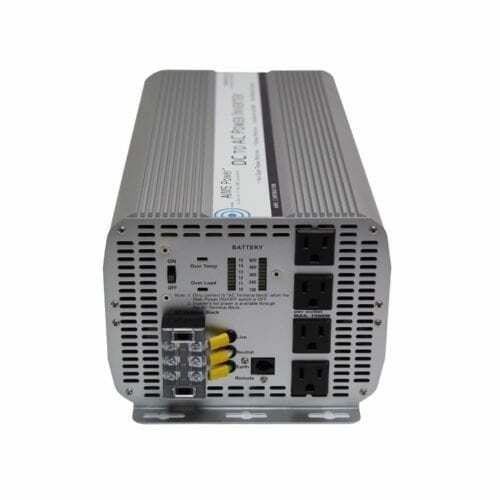 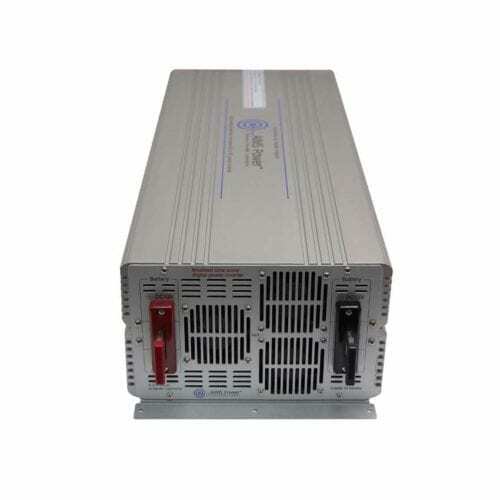 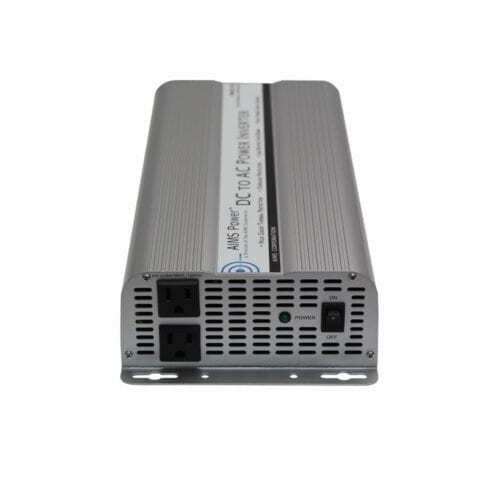 The higher-end pure sine inverters can be used with modern electronics, in addition to all kinds of appliances. 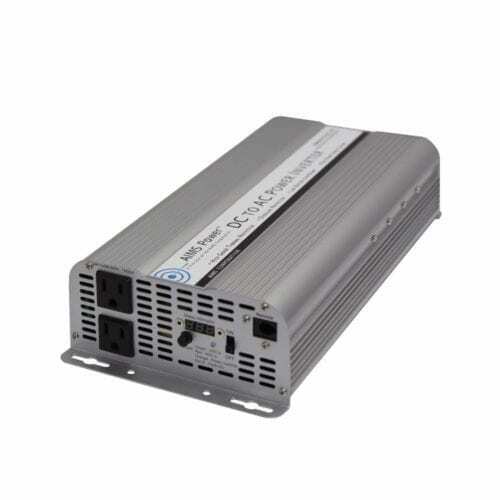 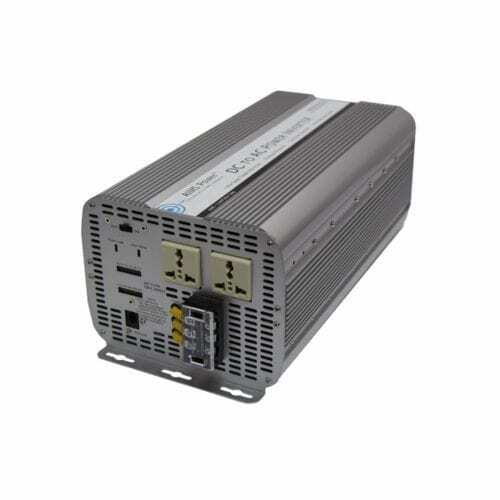 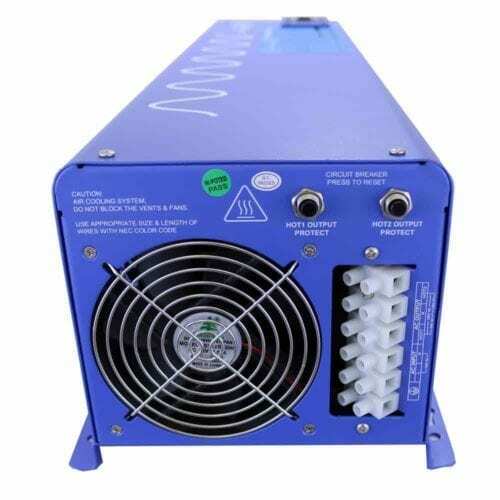 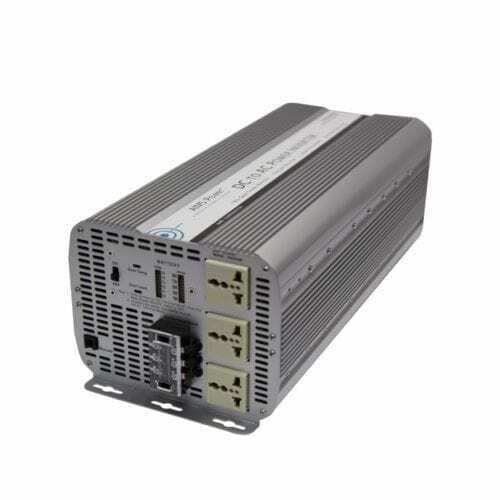 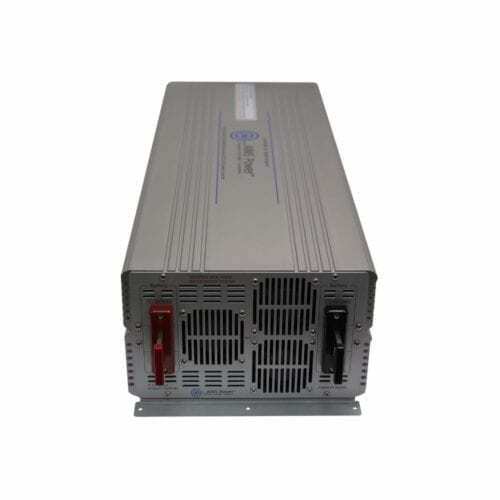 The 2,000-watt 48 VDC to 120 VDC power inverter charger with a 6,000-watt surge can power a refrigerator, microwave or small air conditioner. 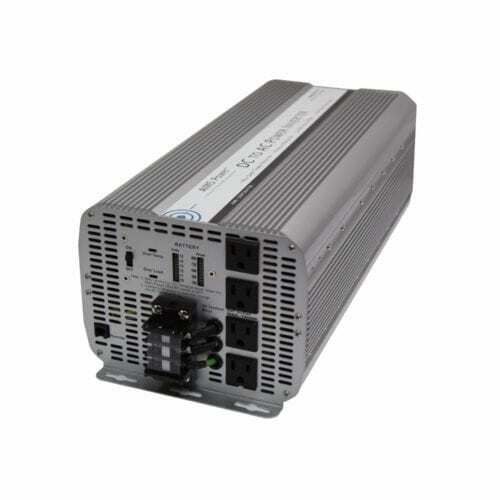 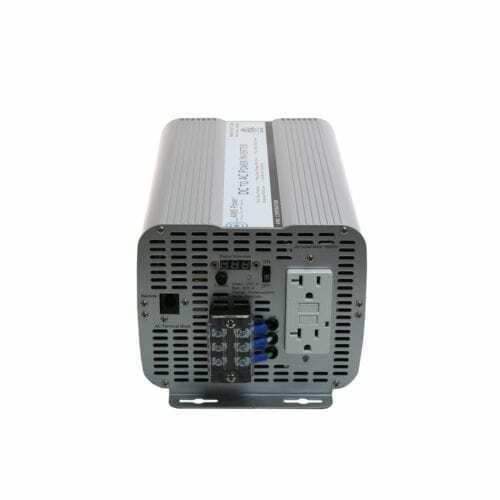 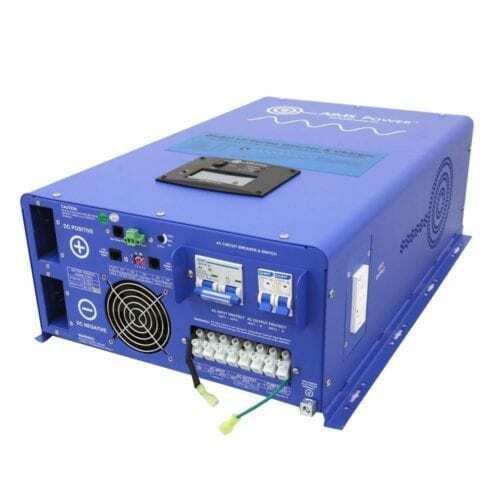 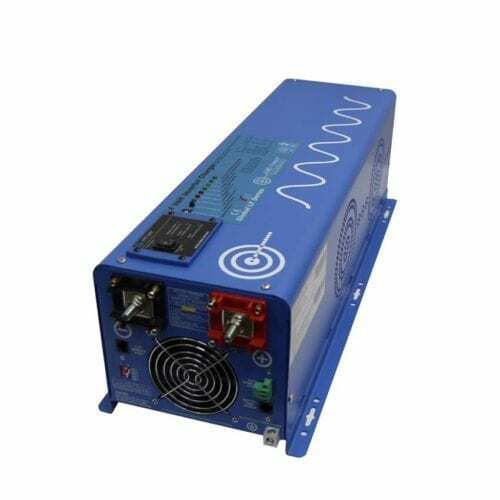 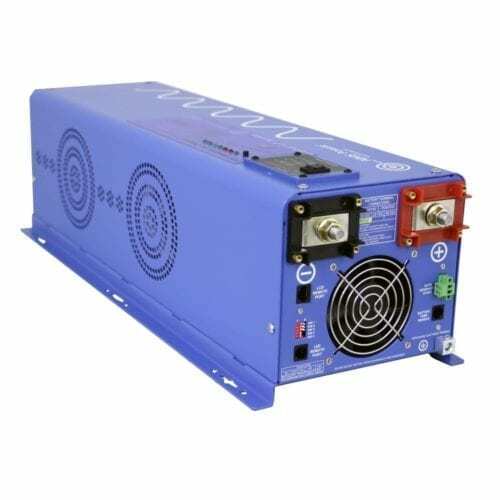 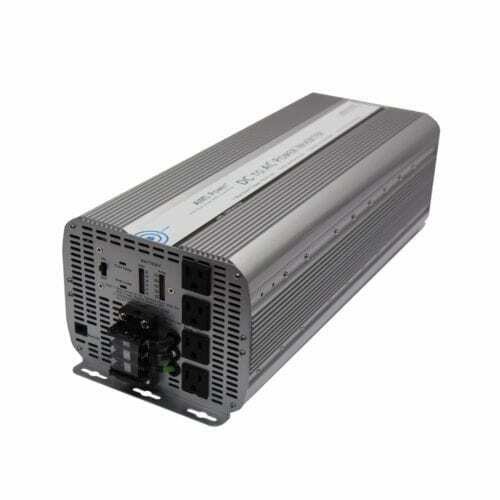 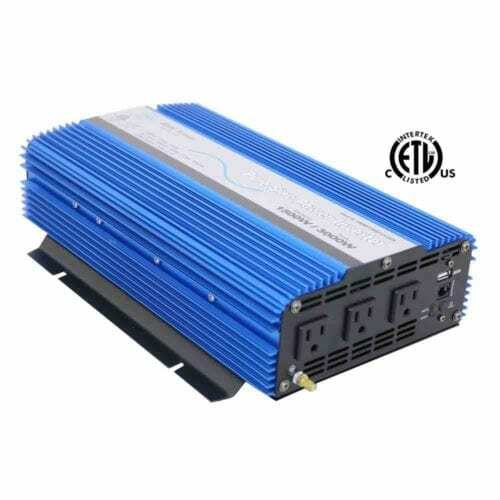 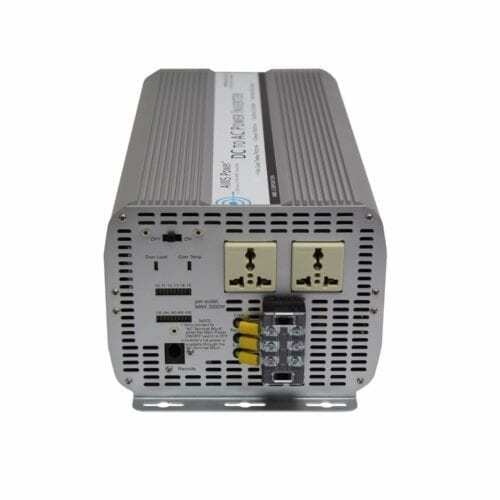 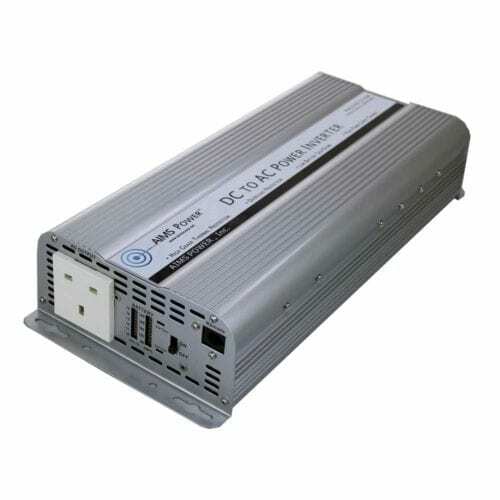 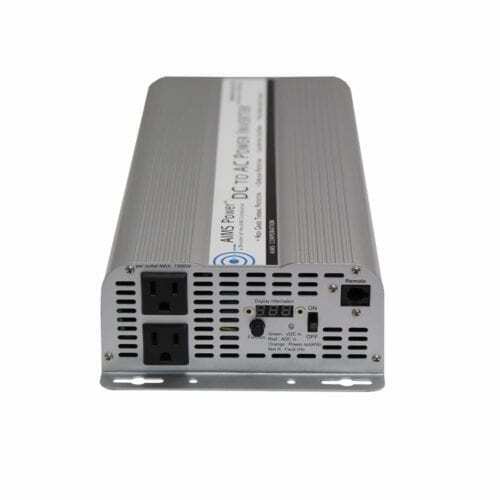 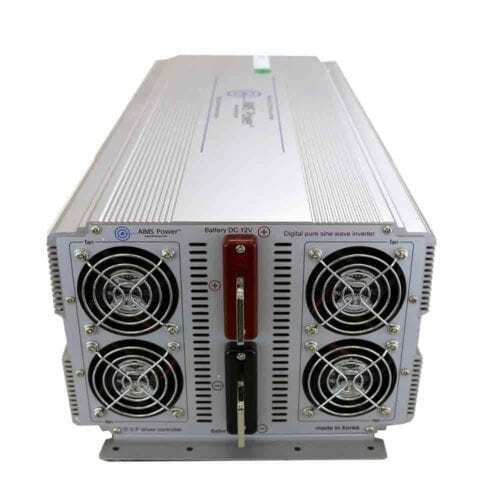 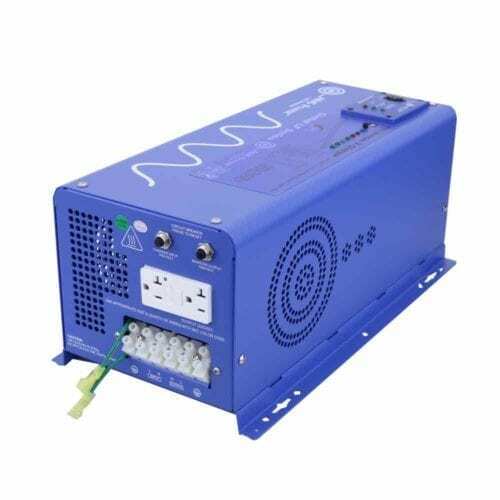 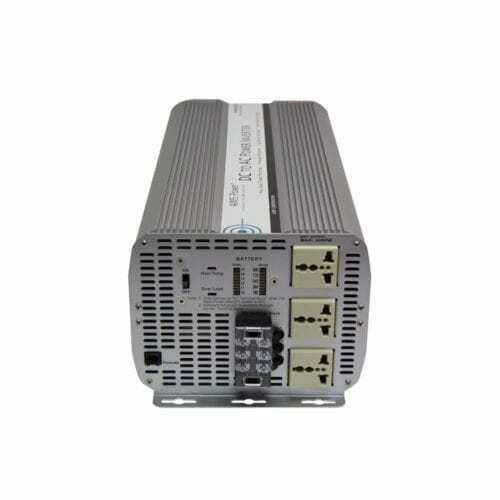 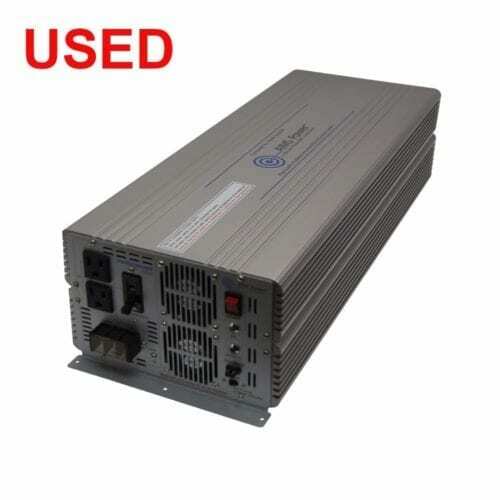 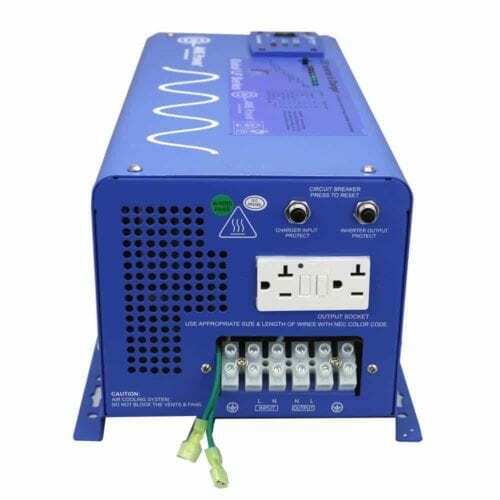 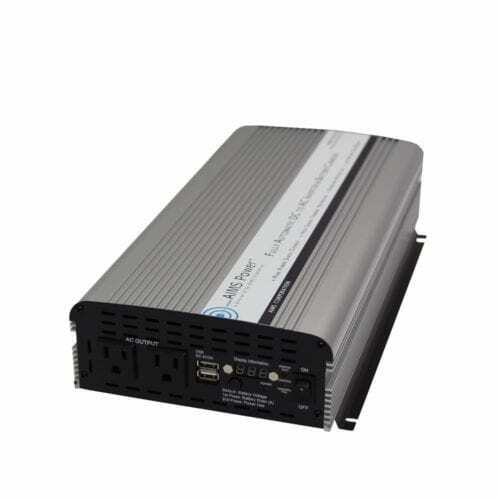 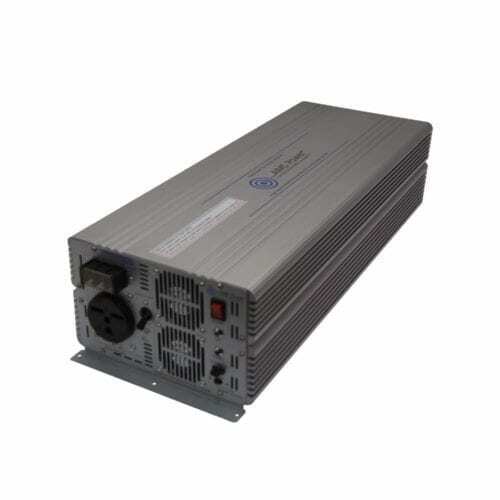 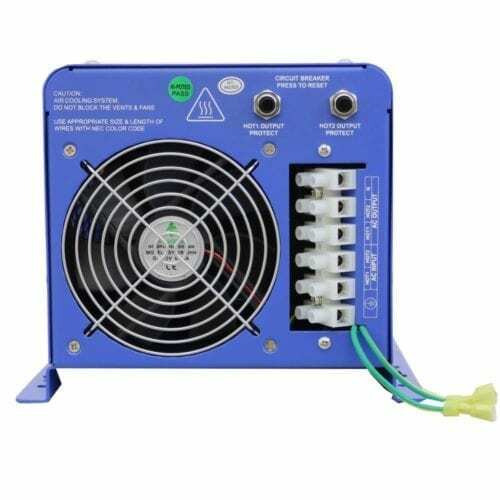 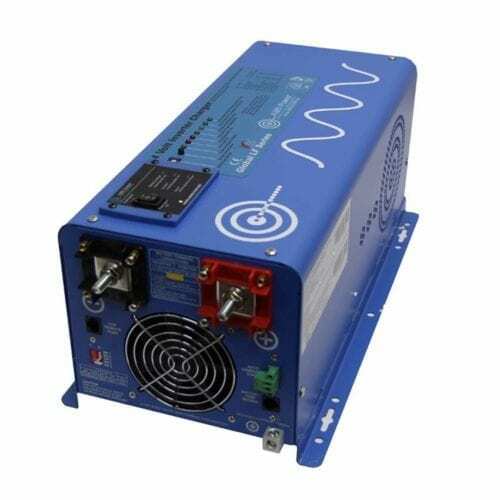 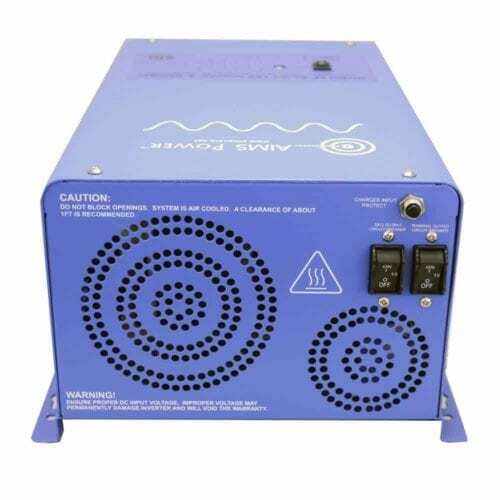 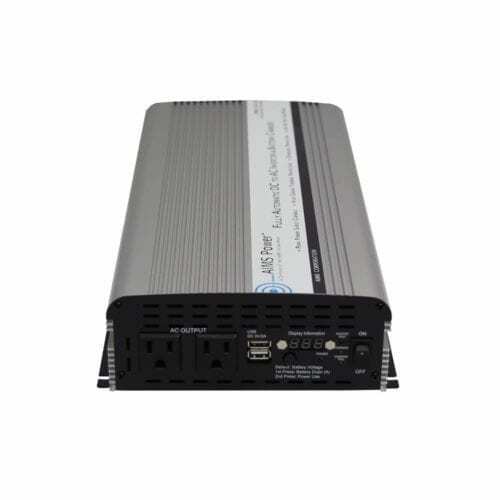 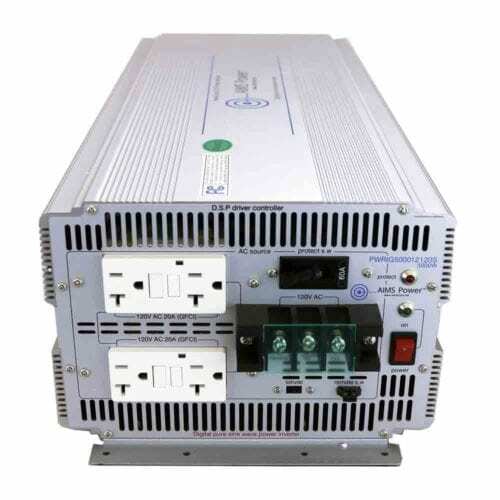 The 8,000-, 10,000- or 12,000-watt pure sine inverter charger with a split phase output can be used as an emergency backup power system for a business or home. 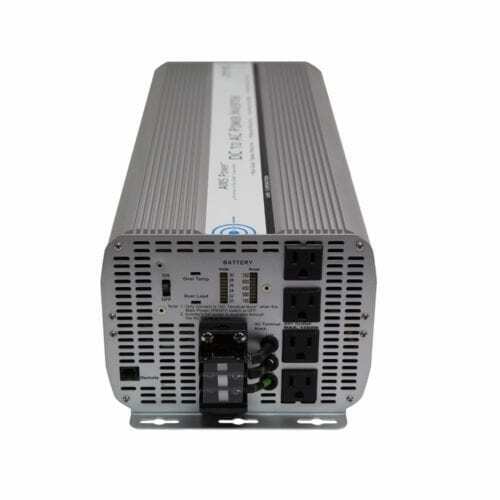 Depending on the model, features may include direct-connect terminal block, over-temperature protection, dual thermally-controlled fans, marine-coated boards, split-phase functionality for international operation, auto generator start mode and multi-stage smart charger. 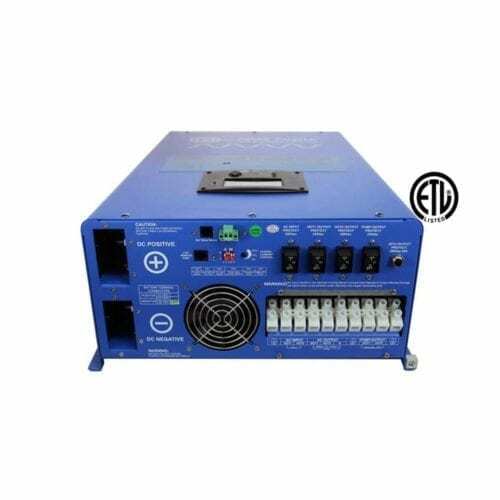 Remote LCD panel and battery temperature sensor are available on certain models. 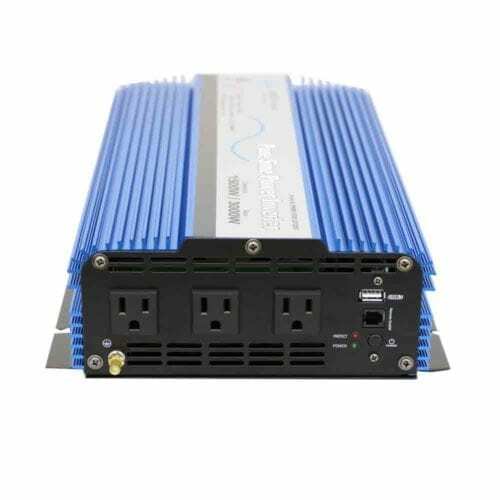 We have a large selection of inverter chargers available, from personal off-the-grid use to industrial grade back-up systems for large businesses. 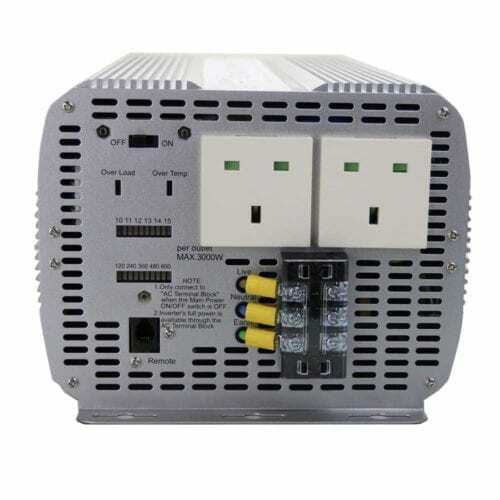 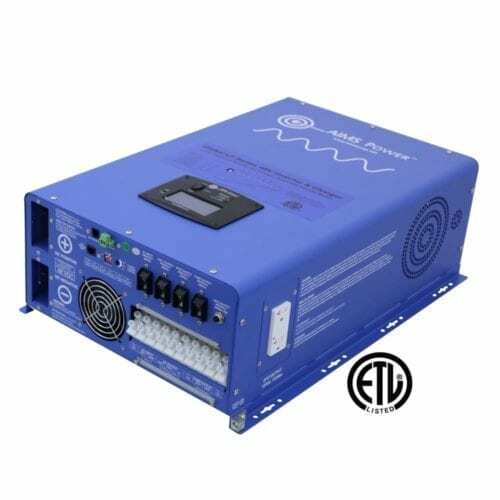 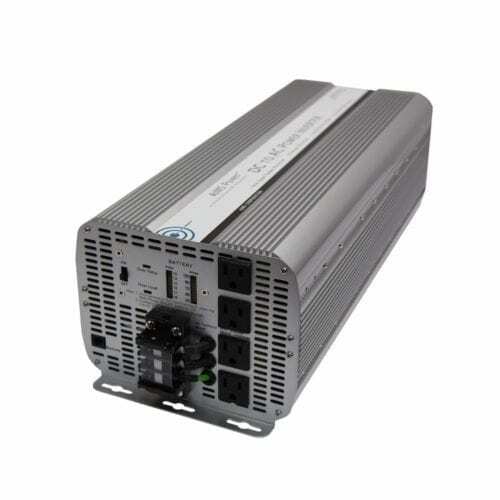 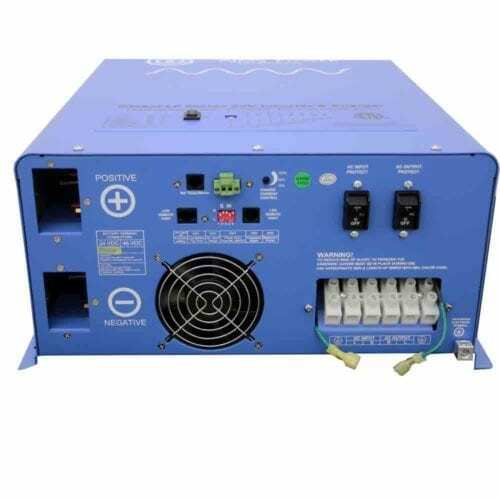 At one end is the 600-watt pure sine inverter charger that combines an inverter, battery charger and AC auto-transfer switch into a single unit. 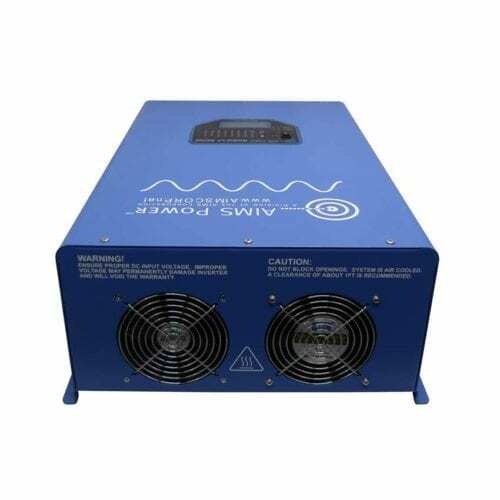 For large homes, farms and businesses, we offer 30KW to 200KW three-phase pure sine power inverter chargers that can be used with solar, hydro, wind and deep cycle batteries. 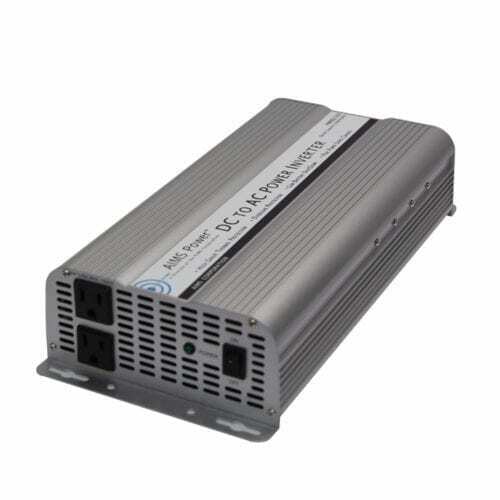 They have features such as LCD display monitoring, adjustable voltages, AC bypass input function and low idle consumption.